The below graph translates the announced phased in spending cuts per budget head indexed for inflation of 3% per year into 2014-15. The graph clearly shows that the largest spending departments will see NO cuts in spending, where the NHS as the largest department will actually grow the most over the next 4 years as it has been ring fenced for real terms growth. The NHS annual budget will rise from £120 billion for 2009-10 to at least £143 billion by 2014-15, or £50 billion of extra spending on the NHS over the next 4 years. The consequences of this is that government spending will continue to increase every year from £680 billion for 2009-10 to at least £739 billion for 2014-15. Therefore the only real mechanism for effecting cuts in non ring fenced spending departments will continue to be by means of Inflation as warned of in the Inflation Mega-Trend ebook (FREE DOWNLOAD) and more recently (29 Jun 2010 - UK ConLib Government to Use INFLATION Stealth Tax to Erode Value of Public Debt ). However the lack of cuts in the biggest spending departments also means that total debt burden in real terms as a percentage of GDP will not shrink as the public is being led to believe but actually continue to grow and at best suggests stabilisation at 72% of GDP by 2015-16, which is against government expectations for public debt to fall to 65% of GDP. Therefore contrary to coalition government statements, the growing real terms debt burden means that Britain is still on the path towards Bankruptcy because the coalition government does NOT have the courage to take on huge sacred spending cows such as the NHS, which it may yet be forced to do as consequence of market forces at a later date. The NHS budget under Labour had grown from £40 billion per year in 1997 to £121 billion for the last financial year. NHS budgets increasing in line with inflation (CPI) would have seen the budget under a Conservative regime rise to stand at £51.6 billion, and probably nearer £60 billion to allow for an ageing population. So the Labour government in effect spent an extra £60 billion a year, more than double that which the Conservatives would have spent on the NHS. Whilst spending on the NHS has doubled in real terms (after inflation), the NHS has consistently failed to deliver, where an estimated 70p in every extra £1 spent on the NHS has disappears down a black hole. An example of where the money has disappeared is illustrated by GP Pay, which during Labours early years GP pay had been tracking quite closely with that of average earnings, until the 2002-2003 GP contracts which sent annual pay rises soaring into the stratosphere, culminating in pay rises of more than 30% per annum which effectively means that GP's are now paid nearly twice that of where there pay should be in terms of average earnings. Therefore despite soaring spending on the NHS, productivity has actually been falling year in year out by an average of 1% per year, as illustrated by a Labour government commissioned report (McKinsey) during 2009 that called for a 10% cut in the NHS workforce, unfortunately the Labour government chose to bury the report ahead of the 2010 general election, which was only recently been published by the new coalition government. The bottom line is that the NHS is a spending Black Hole that requires urgent and drastic reform so that tax payers receive value for money rather than effectively paying for TWO NHS's whilst only receiving delivery of one. A lengthy report earlier this year into the REAL performance of one of Britain's top ranked hospitals placed The Mid Staffordshire NHS Foundation Trust as a killing field for patients that walked through its doors, this is set against official NHS statistics on hospitals and GP surgeries that relentlessly paint a picture of near uniform good performance, against the facts of actual patient experience as reported by the Telegraph. Remember these are are NHS trusts that are ranked by the NHS as the BEST hospitals in Britain ? Why ? because as with the rest of the NHS, self certification of OWN performance data results in propaganda rather than reality. Which means hospital's such as the Mid Staffordshire can get away with hiding 1,200 unnecessary deaths that are only revealed during public inquiries. As an example of real performance of NHS GP Surgeries, the following are the Survey results for a local GP surgery - Darnall Community Health (Sheffield). The results illustrate the disparity between official NHS statistics and actual patient experience, as virtually 1/3rd of the patients of the GP surgery are dissatisfied at the quality of healthcare received. Furthermore only 21% find it easy to get through on the phone, which explains why official statistics may be missing out on the 79% of patients who do not find it easy to get through on the phone to make an appointment, therefore many of whom won't be seen by the GP and hence will not factor into official statistics as generated by PCT's. Which also goes a long way towards explaining why only 28% of the surgeries patients have been seen by a GP during the past 6 months. If Darnall Community Health is even half way typical of most NHS GP surgeries then that would imply that 10 million patients are dissatisfied at the quality of health care received, and as many as 30 million patients have difficulty in arranging appointments by phone, with similarly 30 million patients unable to see a doctor fairly quickly, and again 30 million would not recommend their NHS GP to anyone moving into the area, which does not quite match the propaganda that is usually pumped out by vested interests such as the 1.2 million that ride the NHS £120 billion+ gravy train. Therefore not only does the NHS budget remain out of control, that the Coalition government has FAILED to seize the moment to get a real grip upon and cut, but actual patient experience does NOT match what amounts to NHS propaganda, the reality for many millions of patients is that the NHS effectively does not even exist. As mentioned earlier, you can check the real patient experience of your GP surgery here - http://results.gp-patient.co.uk/report/main.aspx. The new Coalition Government was apparently so impressed by the performance of the NHS Primary Care Trusts (PCT's) that as part of its cost cutting programme it intends to scrap ALL PCT's in favour of GP Consortia's directly managing patient treatment commissioning (the process could take 2-3 years to implement). However, whilst the mainstream media has been focused on the news of scrapping of all NHS PCT's, the flip side of the coin lies in the consolidation of GP practices into GP consortiums in an attempt to introduce real competition between surgeries for patients which means that the less performing GP surgeries in cities such as Sheffield could (should) disappear as they will be unable to compete for patients in a more market orientated value for money environment due to their inability to provide health services to the satisfaction of a large % of their patients. The anticipated changes are set against the current system which contrary to what the population believes GP's are Independant PRIVATE contractors to the NHS WITHOUT COMPETITION. GP's are basically a law onto themselves, and in the vast majority of cases totally unaccountable where complaining against GP's amounts to a total waste of time which is why the NHS is riddled with badly performing GP's as there is no real mechanism to get rid of those that are not up to the job, an issue which market forces would attempt to address. Therefore under a more competitive GP health servicing market as consortia compete against one another for patients, those surgeries that rank at the bottom that prove unable in satisfying and thus retaining patients, should find themselves forced to merge and to restructure with new staff employed so as to ensure that the consortia's are better able to compete against one another for patients. This also means for the reforms to work then there must be at least 2 competing consortia in cities such as Sheffield, and preferably more other wise the reforms will FAIL and result in even worse patient health care experience as there will be NO incentive for GP's to treat patients but every incentive to deliver as much as possible of the £100 billion NHS budget into the back pockets of GP's which is probably what GP's expect to happen as occurred following the 2003 Labour GP contracts as illustrated earlier. The only answer to the crisis in the lack of productivity in the delivery of health care is for greater competition between surgeries and hospitals which ultimately means privatisation, as the existing system of no real competition means the lack of performance is rewarded with more resources in the face of inability to deliver whilst those that excel are punished with less resources so as to pull all services down towards the under performing mean. The only way excellence can be rewarded and act is the goal to be achieved is if competition drives out of business the incompetent GP surgeries as they lose patients and resources to the better run GP surgeries which can only happen in a private system of healthcare delivery, where patients would in effect be handed NHS heath credit cards to enable them to buy healthcare at ANY health facility whether NHS run or private. Given the actual performance of the NHS, I would imagine that closing 15% of the worst performing NHS Hospitals and GP Surgeries would result in IMPROVED life expectancy for Brit's as well as contribute £18 billion of annual savings to help bring the unsustainable £156 billion annual budget deficit under control rather than the policy of INCREASING the budget by more than £20 billion to placate the 1.2 million employed by the NHS. Reform of the whole NHS health care system from diagnosis to treatment of patients is urgently required. 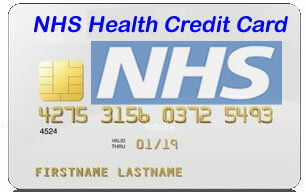 As mentioned above, an important element would be to place the power to purchase healthcare into the hands of the patients by means of an NHS Health Credit Card system, that enables patients to purchase health services from any GP practice or hospital regardless of whether it falls under the NHS umbrella or is fully private. UK tax rises were announced by both Labour and Conservatives several months ago. The government aim is for 20% tax rises with 80% of spendign cuts. Actual will probably be nearer 35/65. Offcourse the real tax rises AND spending cuts are via inflation. Especially as real UK inflation is usually double official CPI. My family's experience of the NHS has been truly awful. Negligent treatment for a child's joint infection leading to numerous operations, chronic pain and arthritis at the tender age of 16. The hospital involved covered up the negligence by pretending that the complications were due to something other than their crappy treatment. The cover-up was continued when we insisted on a second opinion which obviously wasn't independent. When we tried to take legal action, the medical expert witnesses lied in their reports so that we had no case! This is despite very basic errors of the type that a second year medical student would know about. 25 Oct 10, 18:19 New choice for patients? Excluding pension, I can't believe we spent more than 20% of the government spending in the NHS! To be honest, I can't see how the credit-card system would work. Patients, are self-interested, will look for the "best" rated hospital/GPs for care. That in turn will drive up the asking price of those "high rated" carers. The problem is, since the government cannot refuse funding for patients visiting those expensive carers, the overall health care cost will balloon. We need to offer choices for patients, not just where to seek for care, but also an option for them taking the money into the coffin. This, will make all the hospitals think twice before setting prices. Morally not correct but that is a better "free market" idea. You can't expect a first class service with a third class fare. Healthcare should be confined to those who are able to pay. No one should expect anything from nothing. Universal healthcare is an unfair system which will only serve to benefit the poorest most. Not everyone is created equal. People who are in poor health, otherwise unable to work may be better off dead from an economic perspective. This will serve to lower long term unemployment and improve our GDP per capital. Children who are too weak to live beyond the first few months (without medical intervention) should be allowed to die, unless their parents are happy to pay a premium to keep them alive. This is 'natural selection'. If you want to 'cheat' in the system of natural selection, one must pay a premium for it. I propose the end of all welfare and universal healthcare. People should be left to their own device whether they live or die. No treatment shall be received from A+E, unless you present with a valid credit card with sufficient credit to cover the initial treatment. In the case that you were unconscious, one must still carry a valid credit card / debit card with sufficient fund. I quite agree with "no universal" healthcare system. The reason people die, is either they can't compete with world, or there are just too many of people. Same for pension. Pension age should be raised to the averaged death age. It was designed to award those lived longer than the average, but not for every one. To get a retirment life, we all have to save for ourself. The NHS should be one of the biggest burdens for tax payers. By its nature 'Free health care' is a wonderful yet taxing thing to possess. Those who have posted before have a problem, they look at health care as some sort of privilege and or some sort of party political line. This is not a fair way of looking at a health care system that is perceived as being gratis. A fair option... if you are working (regardless of what you earn the state pays upto 70% of your costs). For those not working (and perhaps on benefits already) a deduction in your benefits or a NHS loan like students have for their education. Hi Jenny - the problem you experience (much sympathy) is about accountability which is required to improve performance. Self run box ticking is all managers in the NHS seem to do and miserable care levels is the result. That doesn't mean that nationalised provision is the problem - imagine trying to go up against a private company that didn't perform? Do you really think that would be easier or a system that could be changed easily? Do you think a private provider would maintain information records that would be usable by you to prove anything? At least you can lobby parliament to change the accountablility currently. Nadeem - surely the new GP funding system being introduced opens the purchase of services to private providers (they'll only do the eaasy or profitable stuff), forcing the hospitals to re-organise and compete? Surely thats a revolutionary thing for the UK, though you write against it (though I anticipate a new middle man being created and even higher GP salaries). It should be good although best commercial deals are often decided on the basis of kick-backs rather than [clinical] performance. And if there's no statistics being produced on care in this system, then we'll never know if people are being injured/killed by the commercial relationship. There's plenty of negative commentary on our NHS system, though mine and my friends' care has been amazing and prompt. Far better than it was 2 and 3 decades ago. > Surely thats a revolutionary thing for the UK, though you write against it (though I anticipate a new middle man being created and even higher GP salaries). Only if it means competition for patients, which my research suggests that is NOT what the GP's have in mind i.e. they are creating consortia's that will NOT compete with one another for patients and hence means WORSE patient care.